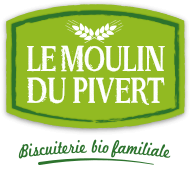 This site is the property of the company LE MOULIN DU PIVERT, which is the author in the sense of articles l. 111.1 and follow the Code of intellectual property. By accessing this site you agree to comply with the French code of intellectual property and, more generally, to international treaties and agreements containing provisions on the protection of copyright. Therefore it is prohibited to: download, reproduce in full or partially, sell, distribute, issue, publish and communicate in any form be it data or works protected by copyright which appear on the website of the company LE MOULIN DU PIVERT, without prior specific written consent of the holder of copyright attached to the work or the data reproduced. The hard copy for private use of these different objects of rights is permitted in accordance with article L122-5 of the Code of intellectual property. Their partial or full reproduction without the prior written agreement of the author is strictly prohibited.